Stella Dimoko Korkus.com: Actress Grace Amah Says Despite Being A Single Mum She Has Not Given Up On Love..
Actress Grace Amah Says Despite Being A Single Mum She Has Not Given Up On Love.. 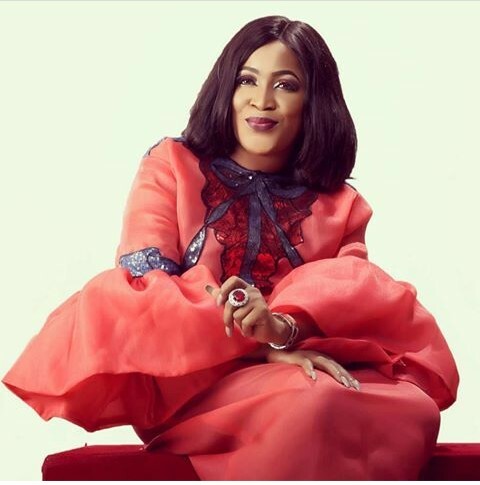 Veteran Nollywood actress Grace Amah has been lying low for quite a while but says she is back to acting and in this Interview with The Sun,she opens up on her life, romance and motherhood. What has it like coming back into the industry after such a long break? Coming back into the industry wasn’t easy but the good thing is that we have evolved and now we are interpreting roles differently. My fans are excited to have me back. That is a good one and a plus for me (laughter). However, it is also a good thing we have lots of new acts. I was also a new act at the time I came into the industry. Then I had senior colleagues and I still have senior colleagues so it is a good thing. I am back for good and coming with something huge. My fans should watch out! How has it been juggling acting and motherhood? Is your son always with you on set? Coincidentally, my son joined me today because it is mid-term break. I have a house help and my mum is also available. He stays with them when I am on set. Would you love him to be an actor? That will be dependent on him; it is his choice. I have gotten several offers for him to act as my son in movies. I wouldn’t want to force him into anything he wouldn’t want to do. I don’t see him in that light anyway. Someone will definitely take after one you know, maybe, one of the children to come will take after me (laughter). You said ‘maybe one of the children to come will take after you.’ When are they coming? I have always been a low key person in terms of my relationship. I don’t put my relationship on social media. I don’t think it is ideal considering the industry I find myself in. It is better to stay out of it and be safe. For the wedding bells, I will send the invitation when the time comes. Why should I give up on love? You don’t particularly rule out things just because a particular step you took wasn’t the right one or didn’t favour you. I love to love and whatever has happened hasn’t taken love away from me. It has not, to be honest with you. How long did it take you to come to this realisation that you weren’t allowing the experience you had hurt you? Don’t let me go into details because whatever happened wasn’t like things went bad. The only thing is that we didn’t get to walk down the aisle. At the right time, what will play out will play out in terms of marriage. Beloved ACTRESS, no need to be apologetic about it. You learnt your lesson from that dude that impregnated and dumped you. I don't know why good men no dey see ladies like this girl marry. Them go go collect ATUresses come vamoose after 3 months. I don talk the much I been know about this lady. Talk ya own. Allow her to use the style naa, if she said it all out, una go still call am desperate. If she said she doesn't want love, una go still call am bitter feminist. Women can never win with women. No style used here. She clearly stated it. Wedding bells? Meanwhile what kinda interviewer is that? She mentioned wedding bells and you go on to ask if she has given up on love. A more appropriate follow up question would have been so it is safe to say you have given up on love? My dear, Ebuka is the only intelligent, seasoned and unique interviewer in the Nigerian media space. My God, he does it so naturally.. see how he is making these BBN kids confess all their secrets without doing much. He know how and when to ask the killer questions. Outside he and Toolz, the rest are learners. Thought she was married. Will like to see what she has to offer. Everyone deserves love regardless the age. Which kind interview question be this? God bless you Grace. Love like mine will find you. Love so deep and pure that you find yourself weeping and asking what you hv done to deserve him. Amen to your prayer for her.. I also key into your prayer for myself...yes myself..
She carry her own breastfeed am well well. All the very best @ Grace..
No matter what you've been through,Don't give up on love. Grace Amah the petite bombshell, perfectly coded, hackers dey waste dem time. we really missed ur acting for a long time. wish u well in ur. future endeavors.